Culturally-aware marketers can make the difference when it comes to failing or succeeding on a certain market. Products that are adapted to the traits of a culture are those that stand more changes of being picked up from the shelves. How should companies create their marketing strategies for Romania? 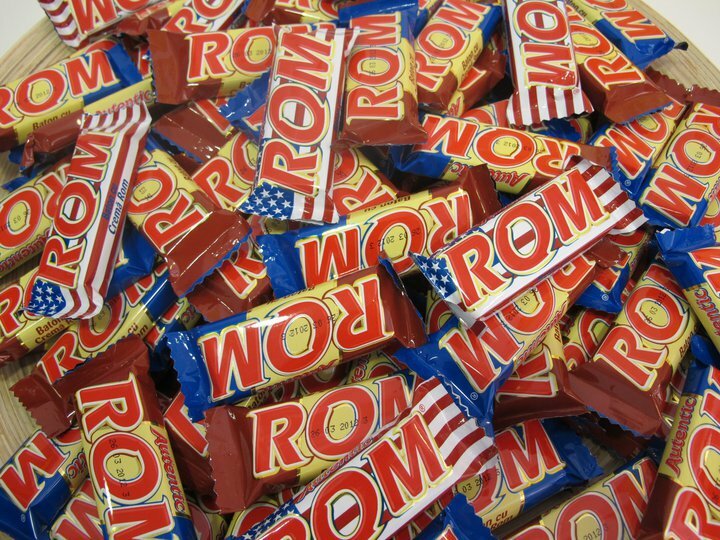 McCann Erickson Romania got the Grand Prix at the Cannes Lions International Festival of Creativity this year for its “American ROM” campaign for candy makers Kandia Dulce. The producers of chocolate bar, which is usually decorated with the Romanian flag, wanted to appeal to the youth disenchanted by the country’s economic and political problems. [pullquote]This example is a lesson it itself. What other similar campaign, or shifts in marketing to cater to Romanian cultural needs have you heard of? [/pullquote] So they put an American flag on the packaging instead, and created an English ad campaign where an American executive boasts about the switch. It sparked a dialogue and a swelling of Romanian pride – exactly what the company was hoping for – before turning the packaging back to its original form. Culture challenges the fundamental strategy of marketing, customer relations, definition of product, price, and advertisement. In short, culture is all pervading. However, much more important than these obvious aspects of culture, are differences that derive from the different meaning given by different cultures to the same thing. The product may be technically identical, but the purchase motive is different, because of the different meanings and priorities given to oneself and others' privacy. Kodak introduced an advertising campaign based on capturing 'memories' in the physical form of photographs. In contrast, for European cultures, 'memory' is a much more sentimental construct and may be tainted if represented in the explicit format of a photograph that omits the higher levels of the experience. Procter & Gamble have successfully developed a new generation of highly absorbent Pampers with the unique selling point that they can be changed less frequently. This approach failed in Japan where frequent changing of diapers/nappies is perceived as fundamental to keeping the baby clean. Organizations need stability and change, tradition and innovation, public and private interest, planning, order and freedom, growth and decay. Successful marketers must deal with these issues. Recognize Whilst we can more easily recognize explicit cultural differences, we may not be aware of implicit cultural differences. The first step is to recognize that there are cultural differences. Respect Different orientations about 'where I am coming from' are not ‘right or wrong', they are just different. It is all too easy to be judgmental about people and societies that give different meaning to their world from ours. Thus, the next step is to respect these differences and accept customers’ rights to interpret the world (and our products and marketing efforts) in the way they choose. Reconcile. Because of these different views of the world, the marketer can encounter two seemingly opposing views of the contrasting cultures - those of the seller and buyer. The task of the marketer is to reconcile these seemingly opposing differences. The question is, should we have one standardized approach (identical product range and associated identical marketing support) or should we go for a local approach (different products and local based marketing in each destination)? Do we think our customers are best served by becoming nearly globally universal and alike, or by becoming more influenced by particular national or local cultures? The answer lies in transnational specialization. Here we reconcile the seemingly opposing extremes. We integrate best practice and satisfy customer needs by learning from the diversity of adopting, adapting, and combining the best. MacDonalds successfully achieved this integration by branding the Big Mac universally across the globe. The big ‘M’ sign, represents the universal corporate identity with standard furnishings and fittings in all their restaurants, including in Romania. Yet in the Middle East, the Big Mac is a veggie-burger, and served with rice rather than fries in the Asiatic. In some situations, the marketing strength derives from the universal world branding. Thus Coca-Cola is Coca-Cola everywhere and represents the American dream, although ingredient details on the can or bottle may be in a local language. Similarly, British Airways are selling safe, reliable, quintessential ‘Englishness’, supported by local agents in the different destinations it serves. What are the main traits of the Romanian culture that marketers should take into account when creating their strategies for this market? What do you think? We'd like to read your answers or examples in the comments area below.